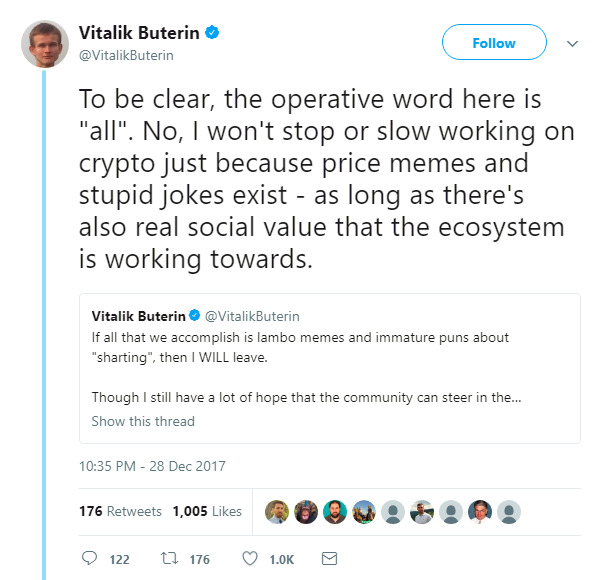 Vitalik Buterin, the founder of Ethereum, clarified a tweet in which he threatened to leave crypto if communities in the space didn’t grow up. Vitalik Buterin, the founder of Ethereum, has clarified a tweet from Wednesday in which he threatened to leave crypto if communities in the space didn’t grow up. 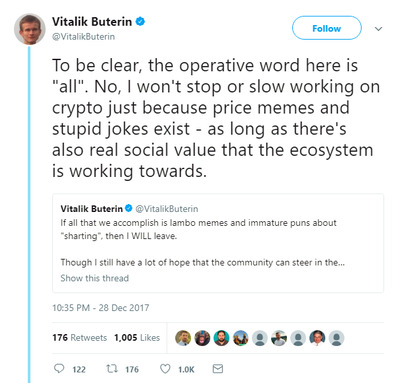 Originally, he said he would leave crypto if all people in the space did was post memes about how much money they had. Buterin said coiners working on interesting projects should check to see whether they were eligible to receive funds from his adviser token donation fund. 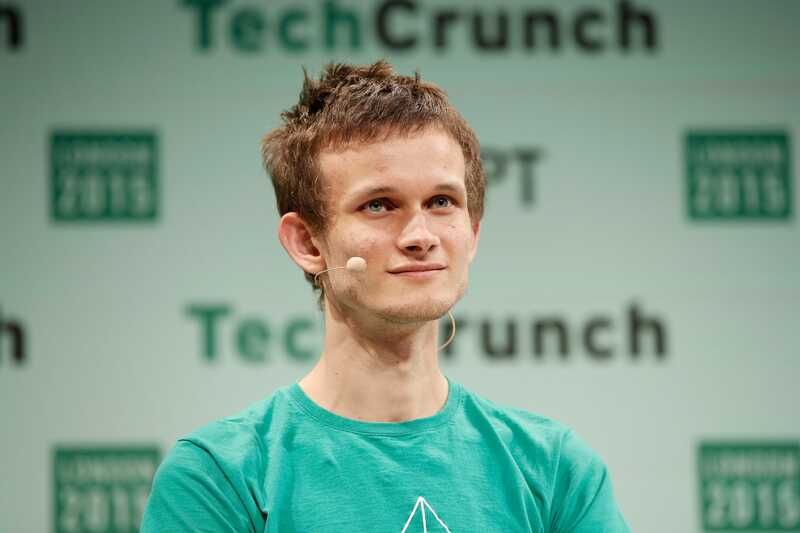 Buterin said the fund had distributed over $US1 million. “Never hurts to quietly put up an ETH address,” he added. Ethereum has also paved the way for hundreds of so-called initial coin offerings, a cryptocurrency twist on the initial-public-offering process. Autonomous Next, a fintech analytics firms, estimates that over $US4 billion has been raised via ICOs, which help startups raise capital outside traditional financial services. In total, the market for digital coins has exploded from just under $US18 billion at the start of the year to a whopping $US580 billion, according to data from CoinMarketCap.com. “So total cryptocoin market cap just hit $US.5T today. But have we *earned* it?” he said in a tweet earlier this month.